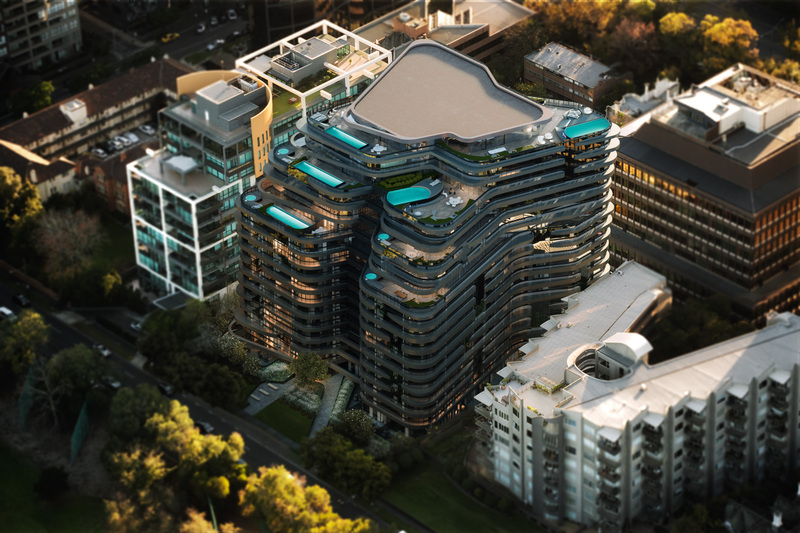 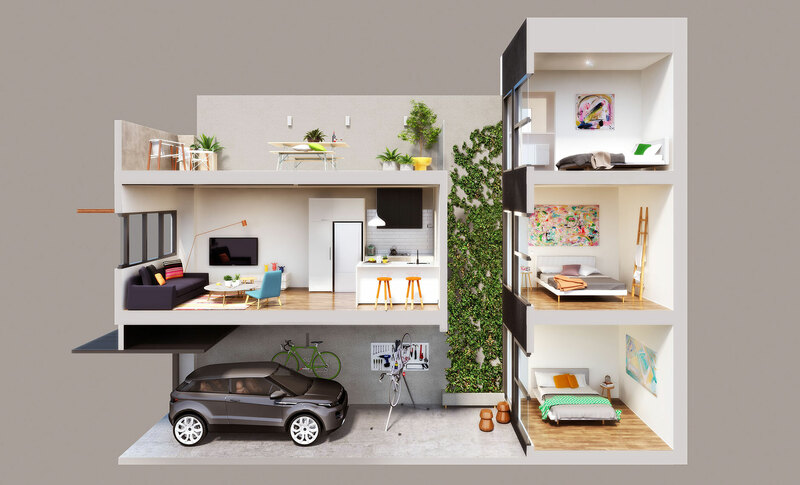 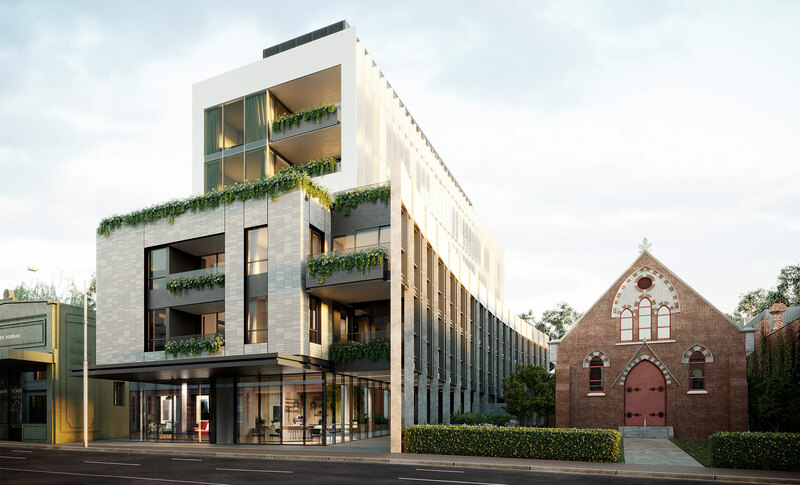 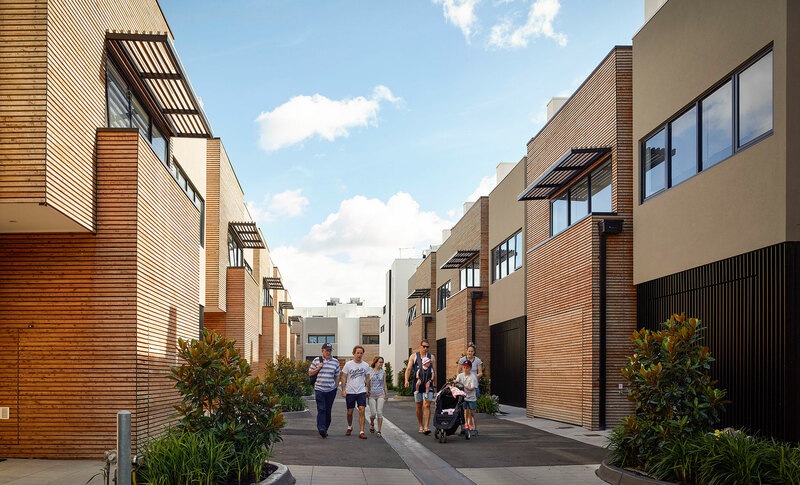 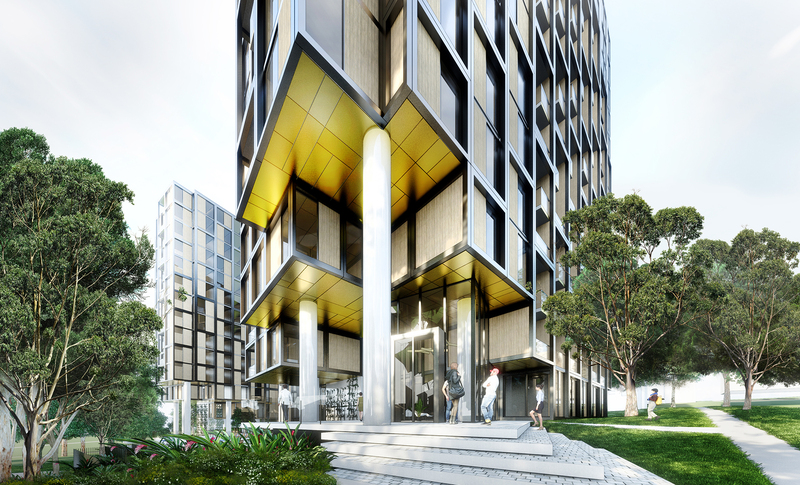 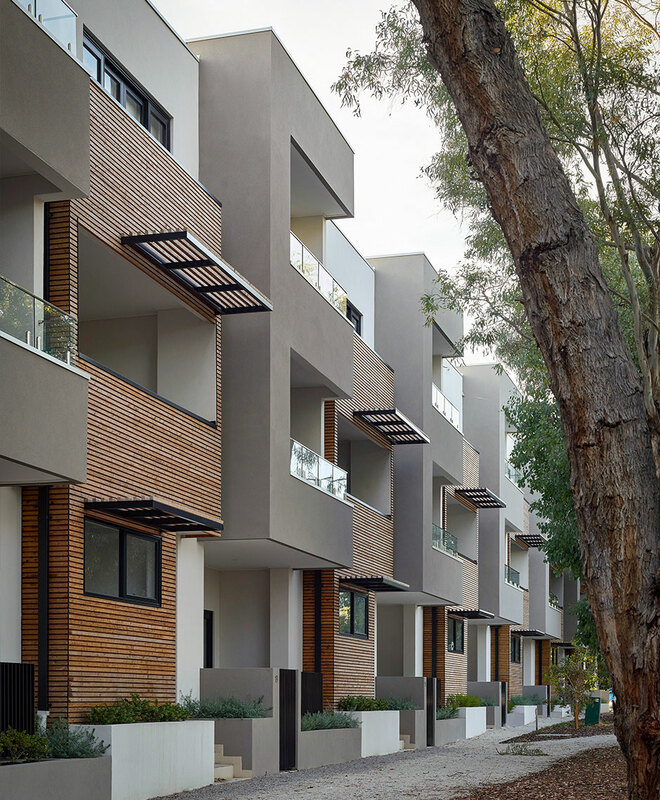 The Barkly incorporates internal streetscapes, maintaining the spirit of the traditional mews typology – with its communal outdoor space and elevated living – but at the same time improving on the mews street format by introducing rain gardens, street trees and imaginative hard landscaping. 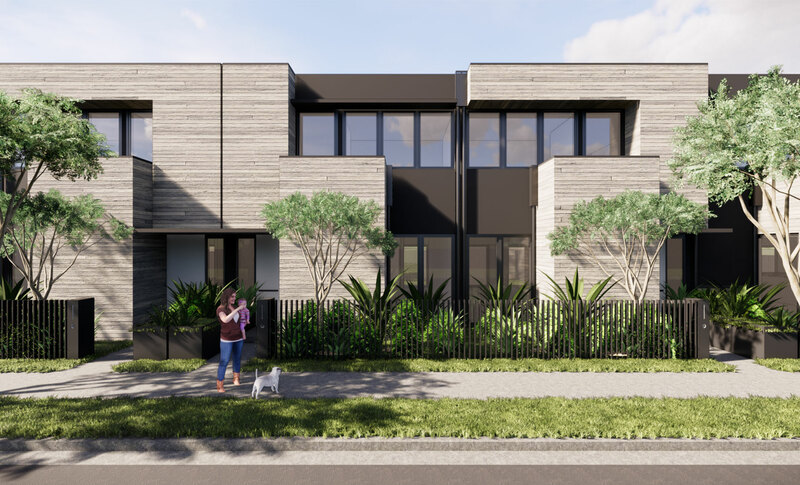 Houses abutting the park are designed to take advantage of unhindered views into the park, offering deep light penetration into the houses and outdoor spaces. 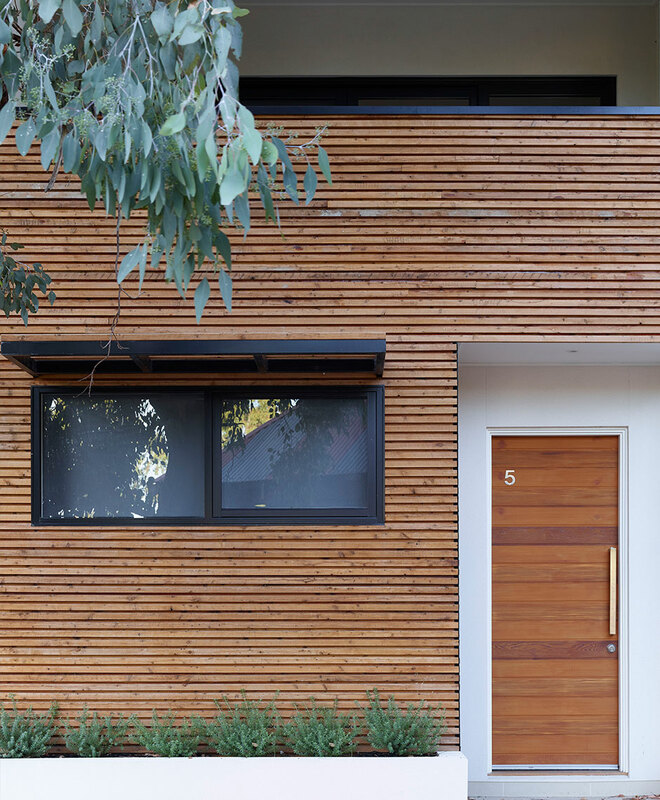 Each of the six house types has been designed with two façade systems; one with stained timber battens and one with a cement trowel applied render within a metal framework. 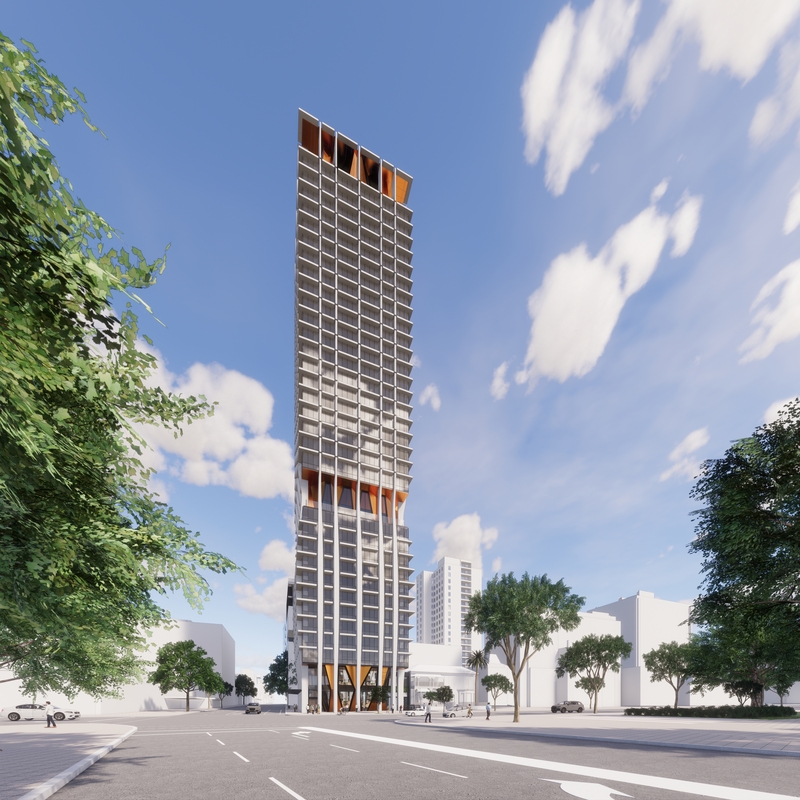 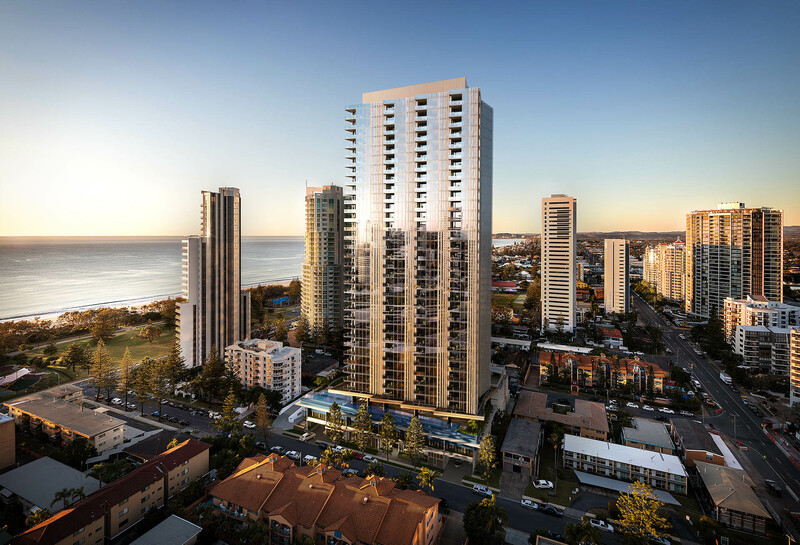 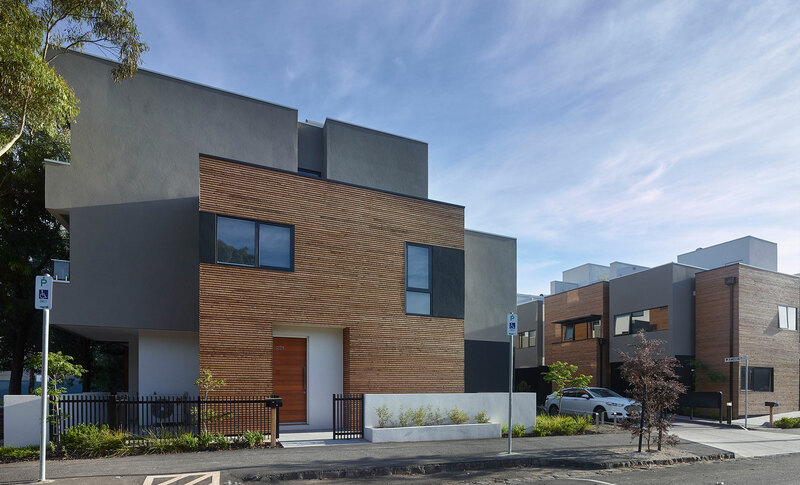 These two façades are employed alternatively throughout the development, changing in height and proportion according to the location. 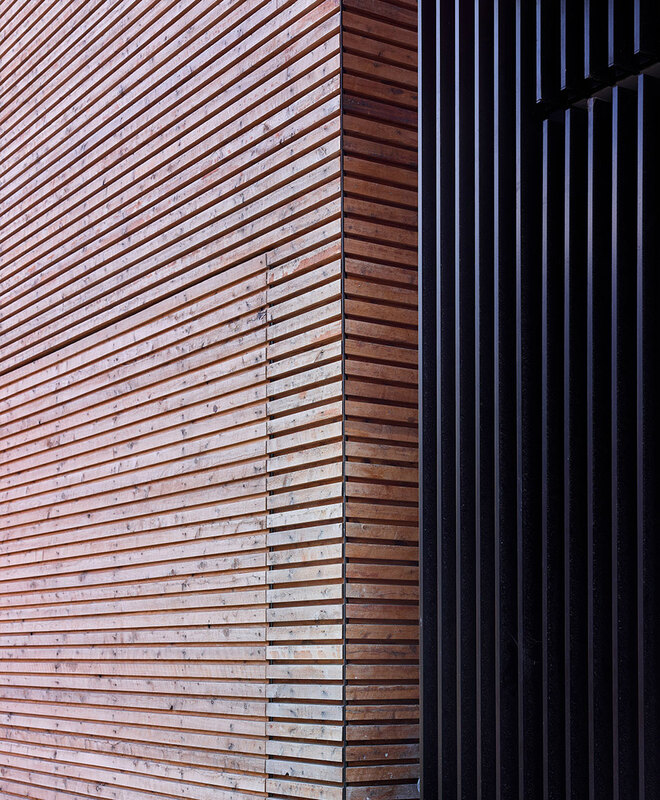 The façades completely integrate garage doors, solar shading devices and planting. 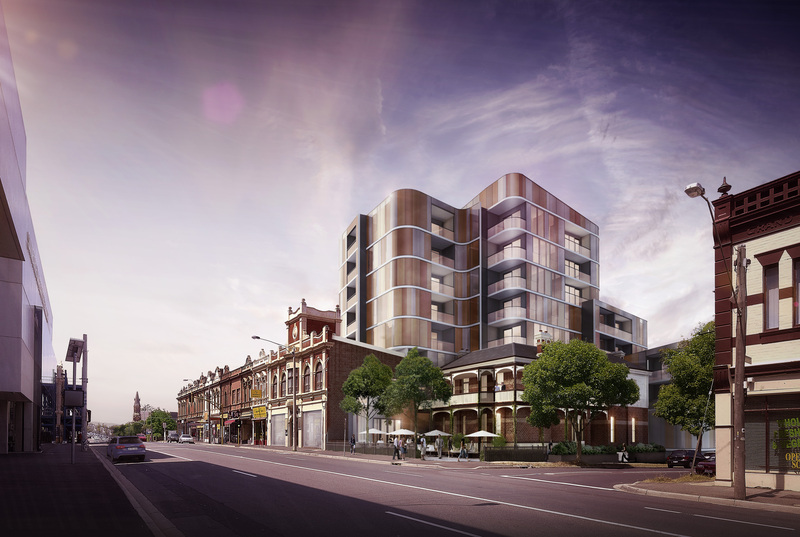 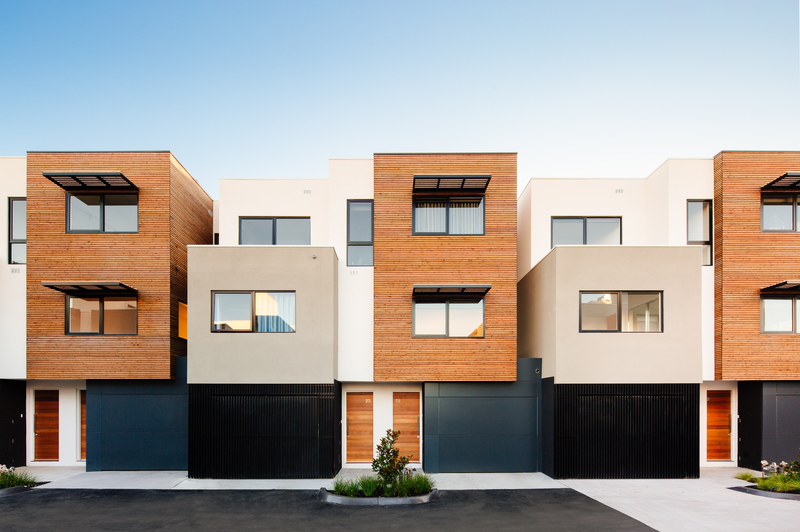 The result is clean and contemporary, adding to the new mews and enhancing the neighbourhood character of Brunswick.